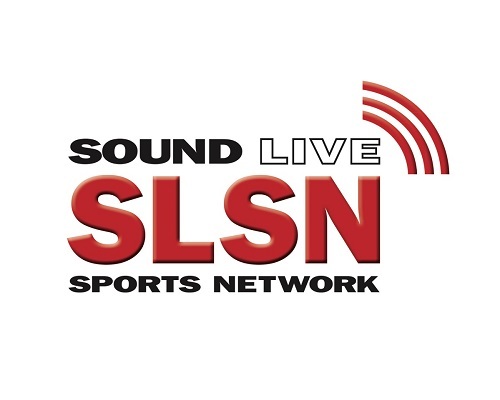 Varsity Football Live reporter Steve Willits from Sound Live Sports Network joins Steve Dion to break down the WesCo playoff picture. Who are the top seeds in 3A & 4A and which teams are still fighting for a postseason berth? We’ll break it down for you! 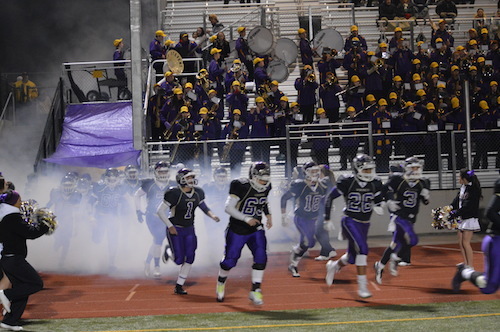 Listen to our playoff preview of the WesCo League by clicking on the PLAY BUTTON below. Be sure to visit SoundLiveSportsNetwork.com and follow Steve’s high school football coverage all season long including the ‘Prep Chatter’ podcast at www.theHawkeye.org! A light slate of games to kick off week two of the high school football season took place Thursday included a WesCo clash featuring the visiting Oak Harbor Wildcats and host Kamiak Knights at Goddard Stadium. Both teams won in their season opener; which squad would push their record to 2-0? Oak Harbor was off to the races early as they intercepted Kamiak on the first play of the game. This led to a 46-yard rumble to the pylon by Princeton Lollar Jr. who lived in the endzone all night long. Kamiak responded with a 5-yard strike from Matt Merk to Ben Barton. However, the Wildcats powerful running game with Taeson Hardin and Lollar started to take its toll on the Knights defense and they started to take a control of the game. They led by three scores at the break. As the second half wore on, the push up front by the staunch Oak Harbor offensive line helped the offense sustain drives and finish in the red zone. The Knights found the endzone twice more, but they could not surmount the massive lead accumulated by the Cats. Oak Harbor finished with over 600 yards on the ground and looks tough. 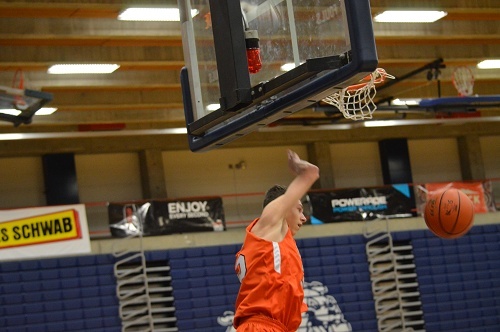 The Wildcats 2-0 start may just be the tip of the iceberg for Coach Jay Turner’s bruisers from Whidbey Island. Oak Harbor 55, Kamiak 21. 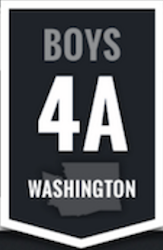 Listen to Steve Willits’ team preview of the Monroe Bearcats by clicking on play button below. 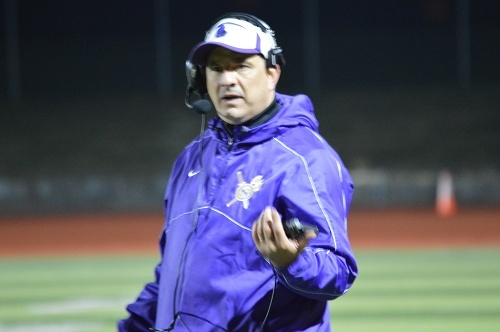 Listen to Steve Willits’ team preview of the Jackson Timber Wolves by clicking on play button below. Listen to Steve Willits’ team preview of the Glacier Peak Grizzlies by clicking on play button below. A drizzly night at Pop Keeney Stadium in Bothell featured a 4A clash between Glacier Peak and host Bothell. This game had a college football feel in its heavy reliance on a passing attack leading to a high scoring affair that lasted well over three hours. Glacier Peak struck first when Ayden Ziomas connected with Colton Bunt for a 65 yard score. Bothell quarterback Jacob Sirmon showed his tremendous arm strength on the following drive by launching a 58 yard bomb to Daniel Johnson off his back foot while taking a big hit from a Grizzlies linebacker at the point of release. This set the tone for a back and forth affair leading to a 27-17 halftime score in favor of the home Cougars. Bothell took a stranglehold on the game when Sirmon found Johnson again early in the third, this time for 75 yards. Peak scored shortly after on a Billy Lutali scamper up the gut, but the double digit deficit was too much to overcome. 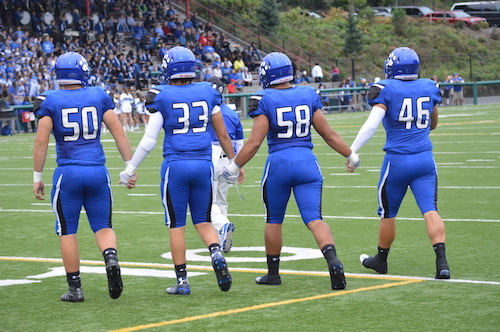 Bothell 44, Glacier Peak 29. 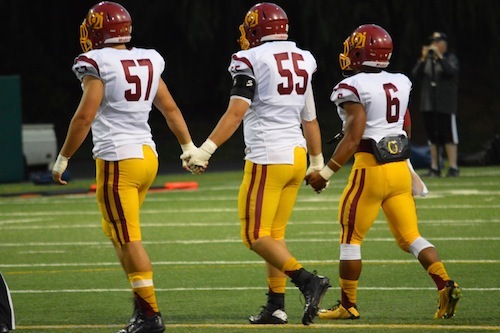 Quantity does not always ensure quality, but when it comes to O’Dea football both are plentiful. The Irish field a roster the size of many colleges and talent is mixed in across the board. Tonight they would square off against the Marauders of Mariner High School who yield a much smaller team. O’Dea would be the clear favorites, but Mariner played tough despite a lopsided score. The Marauders had a successful opening drive that brought them into Irish territory, but stalled from the swarming army of red and yellow. After punting the ball away, O’Dea got to work and asserted their dominance. Myles Gaskin broke free for a 16 yard score and the floodgates opened. Mariner was not able to respond and the Irish proceeded to put seal up a victory early. Gaskin wound up with three touchdowns for the game and 125 yards. Dylan Ledbetter had a strong defensive game, spending most of the night in the Mariner backfield. 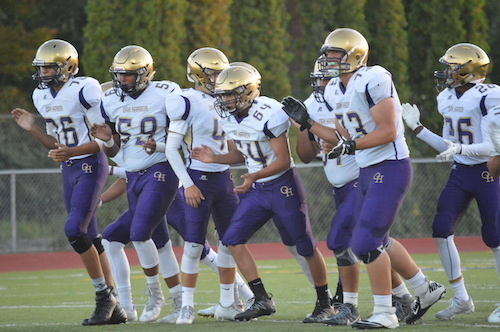 The Marauders battled throughout and punched in a touchdown in the fourth quarter. O’Dea picks up a 35-7 win.